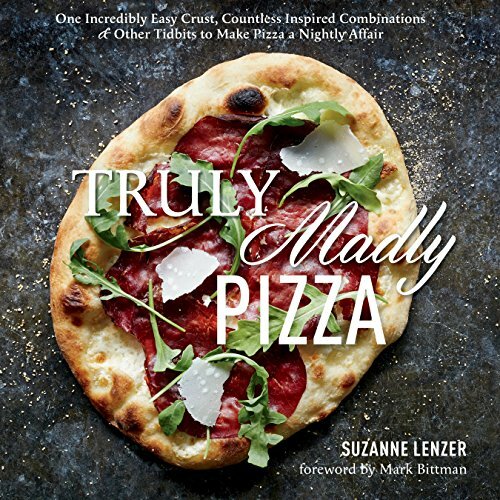 Almost everyone loves pizza, but many are intimidated by the idea of making pizza at home. 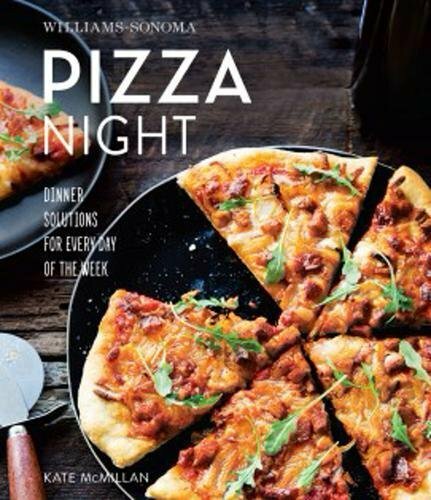 Yet with a few simple tools and the right ingredients, homemade pizza is very simple to make, and so delicious you may never order delivery pizza again! Homemade pizza can also be much healthier as you can control the quality of the cheese, sauce and other toppings you use. It will also save you money in the long run over constantly ordering take-out or delivery, once you've bought the basic supplies and tools you'll need. 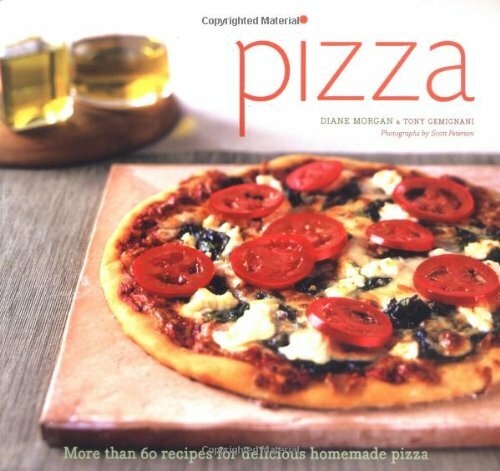 This page will introduce you to the basics of making pizza at home: pizza-making tools, pizza ingredients, and basic recipes. 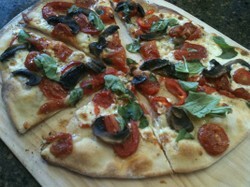 From there, you can experiment and try your hand at all kinds of pizzas, from classical to creative. You don't need an expensive pizza oven to get started, though once you develop a passion for homemade pizza, you just might decide to make that your next home improvement project! All photos on this page are by the author sockii unless provided by Amazon. Yes! Pizza is one of my favorite foods and I could eat it every day. I like pizza but it's not one of my favorite things. I'm not really crazy about pizza, but maybe I'd like homemade pizza better. It doesn't take very many tools to get started making pizza at home, but you do need a few essential appliances and kitchen items in order to do the job right. You may have some of these items already, but if not, read on to see what you might want to consider buying. Some pizza purists would insist that pizza dough should only be mixed by hand. 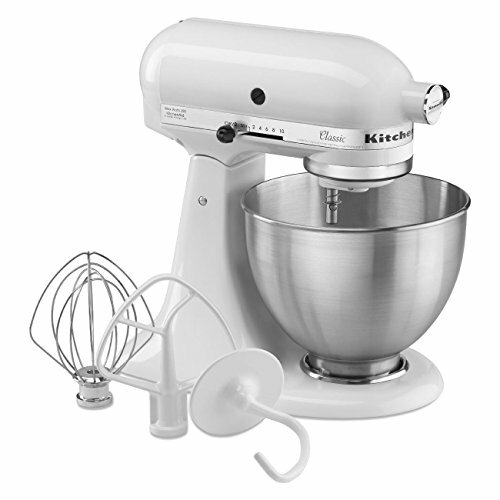 However, a quality stand mixer will allow you to mix and knead your pizza dough quickly and with less mess and effort. 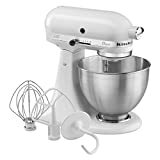 If you are a cooking enthusiast you probably already have a good stand mixer on hand; if not, shop around and look for one with at least a 4-5 quart capacity. The KitchenAid classic model is perfect for making pizza dough at home. Solid, well-constructed and with enough power to knead large balls of pizza dough until ready for rising. A pizza stone is absolutely required if you want to bake restaurant-quality pizza at home in your own standard kitchen oven. It allows the pizza to bake evenly and at the right temperature quickly and get a nice char, similar to what you'd get in a higher-temperature wood-fired or coal oven. Once you have a good pizza stone, you can just leave it in place in your oven and it will help everything else cook better too, from casseroles to stuffed turkeys and beef roasts. 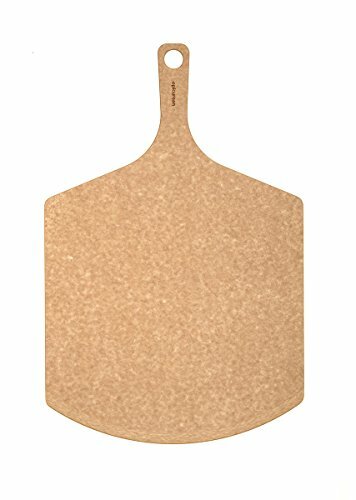 A pizza peel is a simple tool for sliding your pizza in and out of the oven easily. Don't try to make do with a few spatulas or flippers - you'll want something wide enough to handle a full pie at a time! 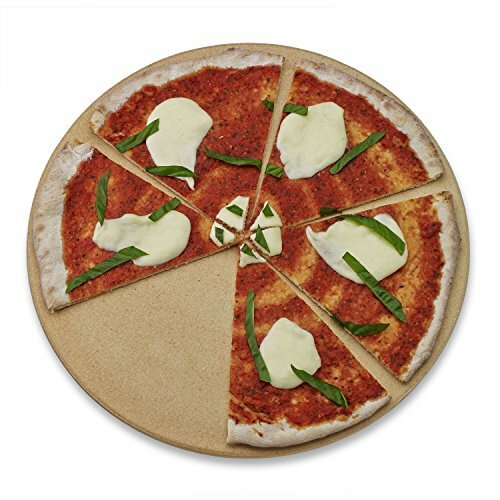 Pizza peels come in various materials and styles, from wood and bamboo to aluminum. I like a wooden peel, myself. This one is obvious. 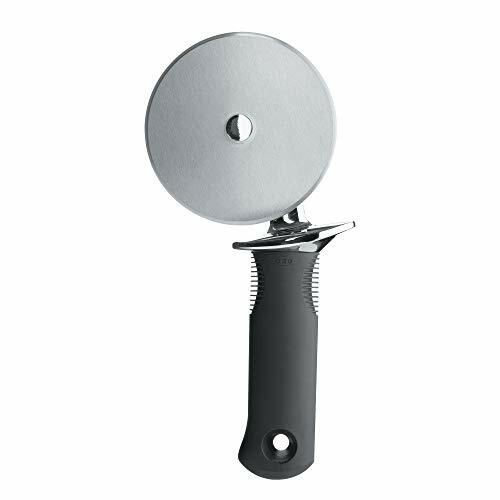 Once you've baked your pie, you'll want a tool to quickly and cleanly cut slices, and nothing works better than a simple pizza wheel. OXO brand kitchen utensils are always durable and easy to use with their large grip handles. Before you try to make pizza at home, make sure you've got the proper ingredients as well. It WILL make a difference! For authentic, crispy homemade pizza, it's necessary to start with quality flour. 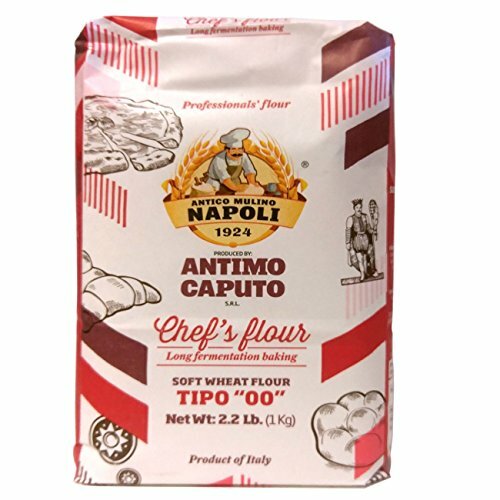 No, that big bag of basic flour from the supermarket just won't do it - you want the real thing, from Napoli, as you'll get from Antimo Caputo. This superfine flour ("Tipo 00") will give you just the right texture if you like crispy, thin crust pies that still have some body and chew to them. Of course, for some variety and different textures you can try a combination of flours: superfine, whole wheat, some might even add or use a little cornmeal for dusting. But start with pure Tipo 00 and learn the basic way to make pizza dough first before experimenting. 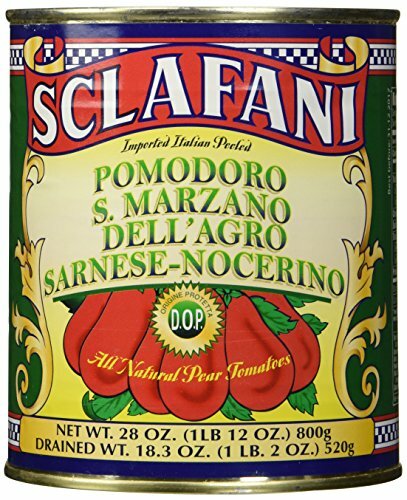 Another tip for making the best, most authentic Neopolitan-style pizzas at home: use only the finest canned plum tomatoes from San Marzano, Italy. These plum tomatoes have the best flavor and texture for tomato sauces, or just crushed and used "as is" for a perfect Margarita pizza. Don't trust so-called "San Marzano" tomatoes from the supermarket unless they are labelled "D.O.P. ", or "Denominazione di Origine Protetta". That means the tomatoes have in fact come direct from San Marzano, and not from seeds that have been grown elsewhere. Trust me, you will know the difference once you've cooked with the real thing! Lots of chefs have their own special or "secret" formula for pizza dough. This is how I typically prepare mine. It comes out consistently well and stores nicely when frozen. To use frozen homemade pizza dough, just take it out several hours before use to defrost and come up to room temperature before baking. NEVER try to defrost pizza dough in the microwave! In a stand mixer equipped with a dough hook, combine yeast and water and mix until yeast is dissolved. Then add salt. Add flour 2 cups at a time and mix at slow speed. Keep adding flour until dough is well kneaded and forms a firm (but not overly dry) ball, climbing up the hook. Prepare a large bowl by coating it with olive oil. Turn out pizza dough into the bowl and cover with plastic wrap and/or a slightly damp kitchen towel. Allow dough to rise in a warm place (or an oven at "Proof" setting) for one hour. Dough should be approximately doubled in size. Punch down dough and prepare a flat baking tray or cutting board by dusting it with flour. Divide the risen dough into six balls of equal size. Place each ball on the baking tray; cover each with a large square of plastic wrap and/or again the damp towel. Allow dough to rise again for an additional 45 minutes. At this point, you're ready to make some pizza! If you are only going to make one or two pies at the moment, wrap up each remaining dough ball with saran wrap and store in the refrigerator or freezer (in freezer bags) until ready to use. One ball of pizza dough, ready to rise for one hour. The pizza dough after having time to rise in a warm place. The dough has been divided & will rise for another 45 minutes. My pizza stone. That's what us cooks call "seasoning". A pie prepared on my pizza peel. After 12-15 minutes of baking, my pizza is ready to be enjoyed. 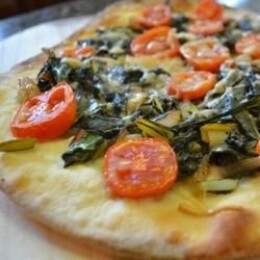 Try my Rainbow Chard Pizza Recipe! Here's a great idea for a summer harvest pizza if you've got an abundance of greens: a Rainbow Chard Pizza with sweet cherry tomatoes. You can find the complete recipe at my blog, South Jersey Foodie. Do you enjoy making pizza at home? Thinking about giving it a try? Feel free to leave a comment below, and thanks for reading! Well done instructions! I think it's something I may put on my 'someday' ti=o do list, and when I do, I'm going to return to this page. It's been a long time since I made pizza dough. I made it by hand because my kitchen is too small to have room for a mixer on a stand. Now I buy frozen pizzas or buy crusts already made and add my own toppings. I should make dough again - it's not hard and I can buy good quality flour. That explains why I could never get the dough right. You need a mixer, a certain kind of flour, and the dough should be allowed to rise for 1 hour + 45 minutes. :) Nice presentation! Nice, you can add the toppings you like, and cover different sections with different people being made happy. we skip the dough part and buy it already made.